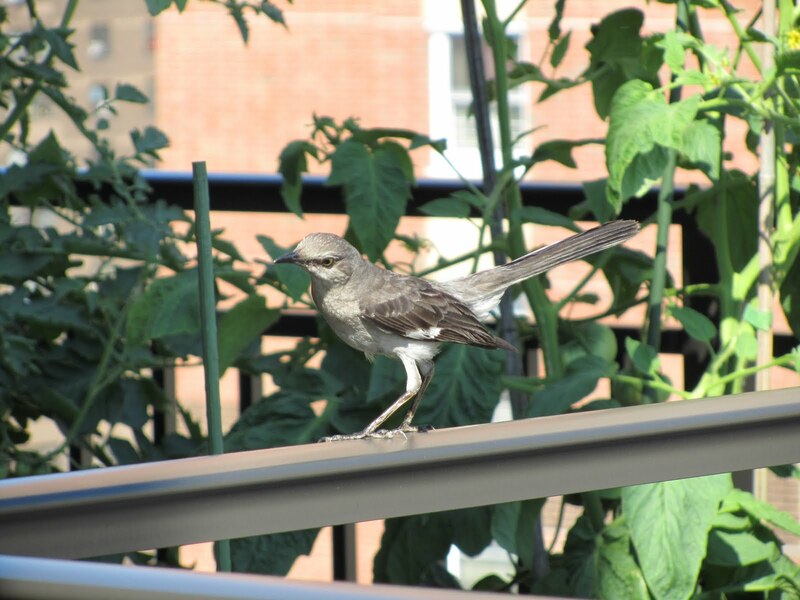 NYC Gardener: Mockingbirds in Manhattan and Who ate my blueberries? oooh, I've been wanting to plant more blueberries in our yard! I hope you get the berries before the bird does. I've just discovered your blog and I'm finding it interesting and helpful. (I'm growing tomatoes on a balcony for the first time this year...)I have a tip for you re your blueberries being snatched away this summer: 'Dress up' or veil your berry plants with a remnant of old/new/used tulle. Very attractive, especially given that tulle comes in almost every colour imaginable. (hot pink, maybe?) It's also a great way to deter pests like cabbage moths. Happy gardening!